Multimeters are a versatile tool to use for checking voltage and current. If you’ve just acquired your own multimeter, you might not yet know how to use it. We’ve put together a comprehensive guide on how to use a multimeter to get you started. We’ll discuss basic safety principles, tips to make the multimeter more effective as well as basic operating instructions. Once you’re done, you’ll be able to use a multimeter as a professional. This guide does not include any recommendations for purchasing a multimeter or what brand should you buy. If you are interested in what multimeter we recommend, check our best multimeter guide. What can you use a Multimeter for? Which multimeter is right for you? 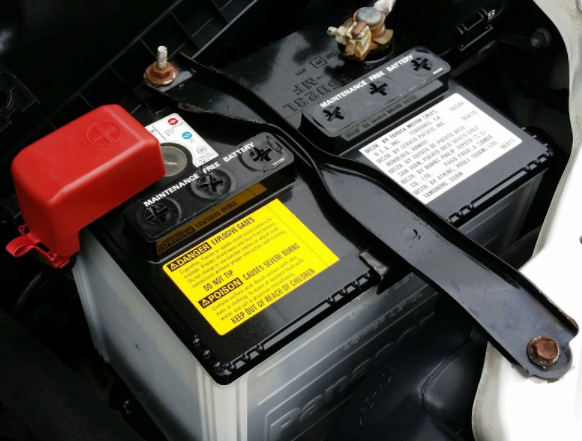 How to Use a Multimeter to Test a Car Battery? How to Use a Multimeter to Test a Fuse? Before we go any further in learning how to use a mutimeter, you need to understand the basics of this machine. A multimeter can also be referred to as a Volt-Ohm meter. It is a device that is used to measure current, voltage and resistance. You’ll find analog or digital multimeters but most analog multimeters are starting to become obsolete in the marketplace. They are commonly replaced by digital versions instead. These handheld tools are used to detect electrical faults. While they are used in a variety of industries, electricians find them most helpful for troubleshooting problems with circuits, appliances, wiring systems and power supplies. You’ll also find them to be common in a mechanic’s toolbox to check the electrical systems and components on a vehicle. Before you can learn how to use a multimeter, you need to understand the difference between AC and DC currents. AC is short for alternating current. This is the current used in your household which provides power to your appliances and lights. AC is the electric current which periodically reverses direction. AC current is quite different from a DC current because the DC only has electricity traveling in one direction. This is the common current you find in batteries or when you run electronics off a car battery. Multimeters are capable of measuring both the DC and AC currents. The voltage section of the multimeter measures the electric potential difference. Most units offer a range from 200 millivolts to 600 volts. The AC measurement is going to read from about 200 milliamps to 600 volts. Ohms are used to measure the resistance of electricity. The higher the reading you get, the more resistance you have. This means it is harder for the electricity to flow through it. With each unit, you should also receive two leads: a black or negative and a red or positive. When you are shopping for a new multimeter, you’ll be faced with two main options: an analog or digital multimeter. What are the differences between the two? The analog multimeter is based on a microammeter which moves over a scale. These are relatively inexpensive but can often be hard to read accurately. They need to be handled carefully because they are easy to damage even from a small drop. These are not going to be as accurate as a digital meter would when using the voltmeter. They are, however, excellent at detecting slow voltage changes because you’ll see the needle moving on the scale. Great option when you require a range. This is ideal for use with fluctuating signals. There are no batteries needed and you don’t need a power source. They don’t overheat. This is ideal when you are working outdoors or in warm climates. When you accidentally hook up the reader to the incorrect polarity, you don’t need to trust a screen to tell you so. The needle will peg and alert you to the error. This is also useful if the voltage reading isn’t correct. When tuning the circuit to the minimum and maximum reading, the needle shows the changes clearly. An analog multimeter is perfect when you don’t need more than three resolution digits. Analog multimeters are generally low-cost and easy to replace when necessary. Ideal for a quick Diode Test or just your basic problem-solving needs. These meters are fairly durable and can last many years if cared for properly. They don’t offer as many advanced features. It is easy to misread the results. They are easier to damage because the needle is fragile. Dropping it once is enough to need a new meter. It is easy to choose the wrong scale. The analog multimeters tend to not be as accurate. You might need to do some math. Most conversions will need to be done on your own. Most electronics engineers will use a digital multimeter. They contain features that most common users will never need. The biggest perk to using a digital version is that the output shows on an LCD screen. Keep in mind that these are going to cost more than a typical analog multimeter. You can’t misread the information. They offer an auto-polarity function so you can’t accidentally choose the wrong polarity. They help you avoid making Parallax errors. This happens when you view the pointer on your analog meter from a different angle and interpret the measurement incorrectly. They are more durable. Most models are scratch-resistant and don’t suffer from failures after a drop like an analog counterpart would. This is due in part to the fact that there are no moving parts that can shift. You don’t need to have zero adjustment. Many high-quality models can be purchased for under $50. They don’t weigh a lot or require much power. You can lock your measurement on the screen. There are more options available than with an analog multimeter. You can choose the ranges you want to work within. Battery life can wear down quickly with the digital display. In addition, the screen can dim fast. A dim screen makes it hard to use outdoors. Errors can occur if transients or fluctuations occur. They can overheat. This is more common when working outdoors for long periods of time. Exceeding the limitation on voltage can damage the tool. The A/D Converter has a word length limit which can increase your chance of errors. Considering all the differences I laid out for you in regards to the two different units, it is important to note that there is a significant difference in how to use a digital multimeter from how to use an analog multimeter. Obviously, the digital multimeter has an LCD display which makes it easier to read. This is true unless you are standing in the sun or the screen becomes dim. Then, it can be difficult to read the numbers. By comparison, the analog multimeter can be just as difficult to read if you aren’t looking at it from the proper angle. Another big difference in using the two various versions is the power supply issue. With an analog multimeter, you don’t need any power to operate the unit. With a digital multimeter, you will require the use of either battery power or AC power. After examining all the benefits and disadvantages of each model, you should be able to determine which is going to work best for you. The model you go with depends on which readings and features are important to your tasks. Purchasing an analog multimeter is generally the best option for occasional, basic jobs. If you are in a profession that requires the ongoing use of a multimeter, you might do better to invest in a high-quality digital machine instead. As mentioned previously, there are many varieties of multimeters you can purchase. Most of the models that a regular person would need are going to be fairly basic. If you work as an electrician, mechanic or other professional that is regularly working with electronics, you might find the need for a more advanced unit. Let’s take a quick look at some of the advanced features you can find in a multimeter. Many advanced machines will feature the ability to measure frequency, temperature pressure and capacitance. There are also models that include a graphical display which shows the AC measurements in real time. This feature is useful in showing irregularities in the wave signal. When looking at modern multimeters, you’ll notice that many of them also feature a data log function. This gives you the ability to measure data over longer periods of time. Other units offer a Low Pass Filter which is helpful when troubleshooting motor drives. This filter blocks unwanted voltages above 1 kilohertz when you measure AC voltage or frequency. A low impedance mode prevents any ghost voltages from being measured during operation. This allows you to achieve an accurate measurement with precise readings. Finally, you might find the offset compensation feature on some units. This is the Smart Ohm ability and offers a superior accuracy during certain conditions. It tests the resistance with two different currents that are applied. With this feature, it determines if there are offset voltages in the input circuit. It is important to consider if these functions will ever be important to you down the road. If so, you’ll want to think ahead and purchase accordingly. Now that we’ve taken a look at all the basics, it is a good time to discuss how to use your multimeter. I will keep this guide focused on your basic multimeter in an effort to keep it simple. Let’s start by discussing the various parts of the multimeter and their purposes. Your display is going to feature four digits and also the ability to display a negative sign when needed. Some multimeters feature illuminated displays which are helpful when you are working in a low-light environment. The selection knob is the part where you set the multimeter to read various measurements such as voltage (V), milliamps (mA) of current and resistance(Ω). Two probes get plugged into the two ports located on the front of your unit. COM is the abbreviation for Common and normally is connected to the Ground or ‘-’ of your circuit. This probe is most often black but there isn’t any difference between the red or black probe. 10A is the special port used when there is a need to measure large currents. This is generally regarded as greater than 200mA. mAVΩ is the port where the red probe is usually plugged in. With this port, you measure current (up to 200mA), resistance (Ω) and voltage (V). You’ll notice the probes feature a banana type connector on the end. This plugs into the multimeter. In fact, you can use any probe with the banana plug. Banana to IC Hook: The IC hooks are great to use on smaller ICs and the legs of ICs. Banana to Alligator Clips: This set of cables connects to large wires or pins on a breadboard. Use these when performing a longer-term test so you don’t have to hold the probes in place while attempting to manipulate the circuit. Banana to Test Probes: These are cheap to replace and a common option. Banana to Tweezer: When testing SMD component, tweezers are handy. 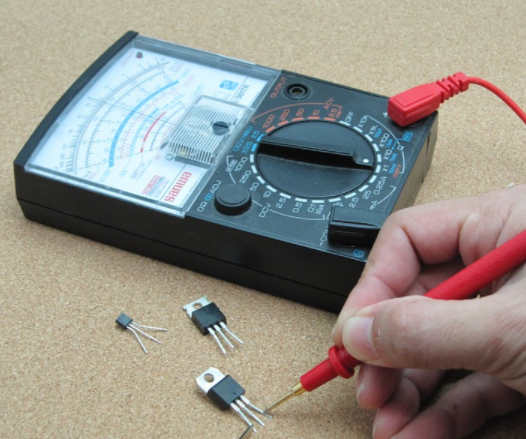 One of the most common things a multimeter is used for is to measure voltage. In fact, one of the first things people want to know is how to use a multimeter to check voltage. As a beginner user, you might be concerned about choosing the right voltage setting. Thankfully, choosing a voltage setting that is too low for the voltage you plan to measure isn’t a big deal. The meter will simply display a 1 instead. That is the error when you overload the meter or it is out-of-range. Just change the setting up to the next highest amount and try again. Basically, you’ll want to choose the voltage that is higher than what you plan to measure. For example, 20V is going to allow you to measure anywhere from 2.00 to 19.99 volts. 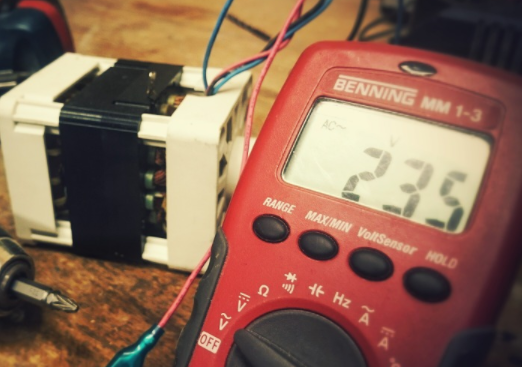 Are you wondering how to use a multimeter to test a battery? Let’s test it out on an AA battery for a simple first lesson. Follow these instructions to get started with your unit. 1. Plug your black probe into COM. 2. Plug your red probe into mAVΩ. 3. Set your multimeter to “2V” in the DC (direct current) range. Remember that most portable electronics use a direct current, not AC. 4. Now you want to connect the black probe and the battery’s ground or ‘-’. 5. Connect the red probe to power or ‘+’. 6. Gently squeeze the probes and apply a little pressure against the positive and negative terminals of the AA battery. 7. If this is a new battery, the results should indicate around 1.5 volts or higher on the display. If you switch the red and black probes, nothing horrible is going to happen. You will simply end up with a negative 1.5V instead. 1. Set the meter to the appropriate range. DC Voltage is the V with the straight line while AC is a V with a squiggly line. 2. Make a note of the points of contact. While measuring circuits, you’ll see the black mark or the letter N for your neutral and a red mark or the letters A or L for the active. Take your black probe and place it to the neutral while the red probe goes to the active point. 3. Your reading appears on the LCD panel of a digital multimeter or you can manually read the results from your analog device. Doing this tells you if a piece of equipment has the appropriate amount of voltage and indicates if there is a problem. It is also possible to test different parts of the circuit. This is called nodal analysis and is a basic way to perform circuit analysis. Measuring the voltage across the circuit shows how much voltage each component requires. This isn’t something most beginners are going to do, so it’s best not to worry about it for now. Another function of a multimeter is to test resistance. Make sure you set your unit to the ohms setting marked as a Ω on your dial. You’ll also want to select the appropriate range if your meter offers that choice. Be sure to only measure resistance when the part is not connected directly to the circuit. 1. Pick a random resistor and set your multimeter to the 20kΩ setting. 2. Hold the probes against the resistor legs while applying the same amount of pressure you use when pressing a key on a keyboard. 3. The meter should read one of three things, 0.00, 1, or the resistor value. If the meter reads 0.98, the resistor has a value of 980Ω, or about 1kΩ. It is important to remember that you are in the 20kΩ or 20,000 Ohm mode. You need to move the decimal three places to the right. If the multimeter reads 1 or ends up with a display of OL, that simply means it’s overloaded. Change to a higher mode such as 200kΩ mode or 2MΩ (megaohm) mode. If the multimeter reads 0.00 or close to zero, lower the mode to 2kΩ or 200Ω. Measuring resistance is not perfect. Temperature can affect the resistance reading by a good deal. There are two main ways to measure current. One is a basic and simple method while the other can be quite complex. If your multimeter has a clamp-style amp, the task will be simple and easy. Just set the meter’s dial to amperage and place the clamp over the line. Then, it’s just a matter of reading the meter. If you don’t have a clamp-style amp, it is still possible to read current. You’ll want some alligator style clamps because working with the standard test probes can prove to be quite cumbersome. 1. You’ll need an extra piece of wire. 2. Pull the VCC wire that leads into the resistor out of the unit. Add the spare wire where it was connected, then probe from the power pin on your power supply to the resistor. This breaks the circuit. 3. Insert the multimeter in-line so it can measure the current flowing through the board. 4. Dial the settings appropriately and measure the current. Overloading the current could lead to a blown fuse, not just an overload display. Because of this, you’ll want to be careful with your selections. It is also important to note that your multimeter is currently acting as a piece of wire. It has completed the circuit and it can power on. The first few times might be tricky as you get the hang of this skill. Don’t be concerned too much if you blow a fuse, it happens! Not all multimeters can test for continuity, so you might not be able to perform this test. Continuity testing refers to testing the resistance occurring between two points. When there is low resistance, the two points are connected electrically and therefore a tone will be emitted from your machine. If there is more resistance, the circuit is open and you won’t have a tone. This is how you’ll know if connections between the two points are done correctly. You can also use this test to detect if there are two points connected that should not be. 1. Set your multimeter to Continuity mode. Look for the diode symbol with propagation waves surrounding it. It might look like the sound coming out of a speaker. 2. Touch the probes together. Your multimeter should emit a tone. 3. Turn off the system before you check for continuity. 4. Use the probes to poke at two separate ground pins. This should give you a tone indicating a connection. Then, poke the probes from the VCC pin on a microcontroller to a VCC located on your power supply. If a tone is emitted, the power if free to flow to the microcontroller. If there is no tone, you need to find the break in the wire, a line or the breadboard. When a system is not working properly, continuity testing will help you to troubleshoot the issue. Aside from the ways I’ve shown you to use the multimeter, there are other purposes that might interest you. This is especially true for various industries that will require the use of a multimeter to do a task. It is important that everyone knows how to use a multimeter to test a car battery. With the use of a digital multimeter, this is simple to do. 1. First, set the multimeter to 20 DC Volts. 2. Place the negative battery terminal in conjunction with the negative meter probe. 3. Place the positive battery terminal in conjunction with the positive meter probe. 4. Have a friend turn on the headlights so you can apply a light load to the battery. Typically, a reading of 12.5 or higher means your battery has a good charge. The reading of about 12.3 means you have a 75% charge or close to it. A reading of 11.8 or lower means that your battery has 25% or less of a charge. A low reading might just mean you need to slow charge the battery. If that doesn’t resolve the issue, replace the battery. Most people are going to come in contact with fuses at some point in their lives. Let me show you how to use a multimeter to test a fuse. 1. Turn your device off and remove any power. 2. Now you can safely remove the fuse from the device. 3. Turn your meter on and set it. 4. Place one lead on each end of your fuse and then look at the display for the results. When you are using the multimeter to measure ohms, the reading should match the one provided when you touch the two leads of the multimeter together. If this fuse is blown, your multimeter will not read anything or the meter will display O.L. If you’ve set the multimeter to measure continuity, then your meter should beep continuously while you hold the leads to the ends of the fuse. That indicates that the circuit is complete. If this doesn’t happen then the fuse is blown. Now that we’ve gone over the various types of multimeters and the basic usage, it is time to move on to some other facts you should know. Let’s start by discussing the safety rules of using your new multimeter. It isn’t enough to learn how to use a multimeter, but also important that you do it safely. Start by choosing the right tool for your needs. You need a machine that is suitable for the measurement location you require. When you are prepared to use the multimeter, it is important that you inspect the unit prior to starting. Give a thorough physical inspection and look for any signs of damage. You don’t want to assume that the unit is functioning properly. When you aren’t using the multimeter, the unit and probes should be stored in a protective case. Next, move on to inspect the test probes. Take the time to verify that they are shrouded and there is also no physical damage. 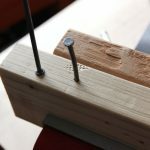 When you insert the probes into the jacks, your connection should be secure and firm. As you are inspecting the probes, be sure to run them between your fingers to feel for any damaged insulation. Damaged probes cannot be repaired; you need to replace them. Don’t ever attempt to use damaged probes. As you approach any component, assume that it is energized and capable of shocking you. The human body can become part of an electrical current when working with electrical components. Use personal protective equipment. This includes gloves, headwear and insulated rubber mats. This is a necessary step especially if you are working on exposed or energized electrical circuits totaling greater than 50 V.
Don’t take measurements in a damp or humid environment. Be aware of any atmospheric hazards in the area such as flammable dust. Watch your multimeter for any sign that there are irregularities in the voltage that could become unsafe. There are many hazards involved with using your multimeter. Here are some you should know about. Transient overvoltage – This occurs when there is a voltage surge. It can be an erratic energy spike but is capable of reaching thousands of volts. Common culprits include motors, unfiltered electrical equipment and lightning strikes. Arc flashes – This occurs when an electric current is discharged across an air gap. Most commonly it is caused by an excess voltage that ionizes the air between two conductors or an accidental contact between the two conductors. These can happen when a power line transient occurs at the same time that a digital multimeter is being used. As discussed earlier, it is vital that you choose a tool based on the highest category you might ever use it for. The CAT rating is the measurement of what your multimeter can withstand. As a general rule of thumb, the closer you are to a power source, the higher the CAT number is going to be. So, with that in mind, most outdoor mains conductors are rated as a CAT IV. CAT I – This refers to equipment that isn’t connected to the mainline. CAT II – This would be your single-phase receptacle connected loads. 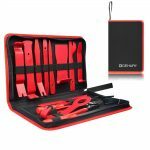 They include portable tools, appliances and similar equipment. The requirement is that outlets are at more than 30 feet from a CAT III source or 60 feet from a CAT IV source. CAT III – This is a three-phase distribution, including single-phase commercial lighting. Most commonly, this is found in lighting systems in large buildings, equipment in fixed installations and feeders or short branch circuits. CAT IV – This is also a three-phase at utility connection or any outdoor conductor. It is limited only by a utility transformer that feeds the circuit. A CAT IV is found where low-voltage connections are made to utility power. You’ll also find them at the electricity meters and in overhead lines. It is very common to blow a fuse in your unit, especially when you are still learning how to use a multimeter. Sometimes, the meter will read 0.00 or it won’t turn on normally. These are indicators that you need a new fuse. Thankfully, you are only looking at a $1 investment to get back up and running. 1. With your mini screwdriver, take out the screws. 2. Remove the battery plate and battery. 3. There should be two screws behind the battery plate; remove them as well. 4. Lift the face of your multimeter off slightly. 5. Slide the face sideways to disengage the hooks found on the bottom edge of the face. Do this carefully. 6. Take the face off. 7. With a gentle lifting motion, remove the fuse. It should pop out easily. 8. Replace the fuse with the correct type. Never put a 10A fuse where a 200mA is supposed to be. 9. Now you can put your multimeter together and get back to work. Pretty simple! Ever wonder where the multimeter came from? Wikipedia gives an in-depth history, but in brief, here’s the story. In 1820, the galvanometer was the first moving-pointer current-detecting device available. They were used specifically for measuring voltage and resistance. Unfortunately, they were slow and not practical for field usage. Multimeters were then invented in the early 1920s as the need for working on radio receivers and tube electronics became necessary. The British Post Office engineer, Donald Macadie is attributed to creating the first multimeter invention. His device measures amps, ohms and volts and was labeled the multifunctional meter. Eventually, it became known as the Avometer. In 1923, the Automatic Coil Winder and Electrical Equipment Company, otherwise known as ACWEECO were established to manufacture the Avometer. Even after this invention, Mr. MacAdie continued to work for the Post Office until retirement. Hi son joined ACWEECO and became the technical director. The first Avometer was sold in 1923 and many features were still a part of the design until the last Model 8 was sold. We’ve discussed a lot of information how to use a multimeter with you. By now, you should be ready to get out there and purchase one of your own. Here are a few things to consider before deciding which multimeter is best for you. Features – When purchasing a multimeter based on the features, keep something in mind. You want a unit that will last many years to come. Consider all the things you may do with the meter in the future and purchase accordingly. Don’t settle for a base model just because that is all you need now. Also, give some consideration to whether you want a digital or analog version. Price – There are plenty of budget models available if you need to watch your spending. These are going to be generic models that perform simply the basic functions. They also probably won’t be calibrated which you’ll need to do once a year. By comparison, you could easily spend several hundred dollars on a unit, but you might not need something so extravagant. Brand – Your next decision will be which brand to purchase. There are several brands that have become known as the best choices such as Fluke, Innova, Extech, Klein and Mastech. Evaluate each model and determine if it has the features you are looking for. It is also helpful to spend time reading reviews from other customers. Keep in mind that you might need to spend more money in order to get a multimeter from a reputable brand, but it will be worth it. That was a lot of material to learn about how to use a multimeter, but exciting wasn’t it? Multimeters are an invaluable tool that can be used by anyone. Whether you want to check your car battery, a fuse or need it as a professional, there is a multimeter out there that is perfect for you. Take the time to research your next purchase and you’ll be thankful you did. Also, remember to always operate your multimeter with the utmost safety concerns in mind. Electricity is dangerous and can hurt you at a moment’s notice. How Long Does Spray Paint Take to Dry? ToolsCritic.com is a participant in the Amazon Services LLC Associates Program, an affiliate advertising program designed to provide a means for sites to earn advertising fees by advertising and linking to amazon.com.